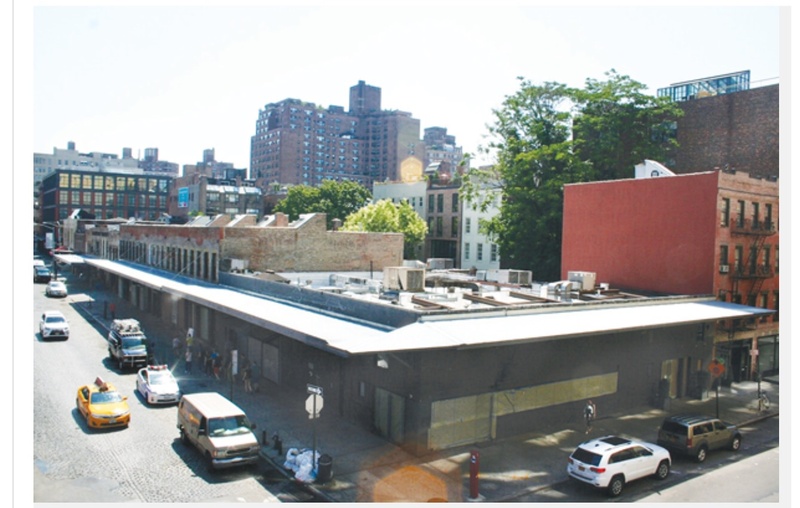 Aurora Capital and the Gottliebs – the people who brought you the giant “ice cube” addition now being constructed on top of the old Pastis building – have announced plans to develop the entire south side of Gansevoort Street between Greenwich and Washington Streets. The highlights, so to speak, are 111′ and 75′ (this last is a rough guess) towers on the western end of the block. 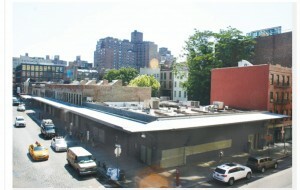 Any development will have to be approved by the Landmarks Preservation Commission. The developer has indicated they expect their landmarks application to be heard by CB2 in this September, and by LPC shortly thereafter. Needless to say, there is going to be huge opposition to Gansevoort Towers. There is also a restrictive declaration on this lot which prohibits office use. The developer has indicated they plan to try to amend this declaration in order to allow office use, which we think they will need in order to make Gansevoort Towers profitable. This will require action by the City Planning Commission and by the City Council, and, as with the Landmarks application, there’s going to be a major fight. The developer initiated a meeting with a group neighbors, but then abruptly cancelled it last week just 2 hours before it was to take place. Extremely unprofessional behavior, to say the least, but it indicates they are worried. Neighbors have already started organizing to oppose Gansevoort Towers; stay tuned for developments.